There’s no other place on earth like Bryce Canyon National Park. A large canyon in Southern Utah, Bryce Canyon is known for its tall spires of red rock, giving the area an otherworldly appearance. Since advertising for Utah’s Mighty 5 was released, the park has gained in popularity and is one of Utah’s most beloved natural wonders. If you plan on visiting this magnificent landscape, here are some of the top adventures on our list to make during your stay. 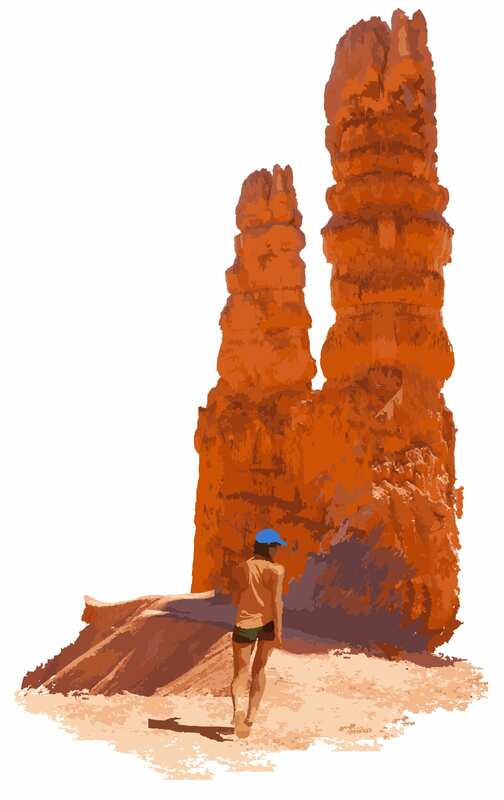 Navajo Trail Loop – One of the more popular trails of the canyon, Navajo trail loop offers stunning views of hoodoos in the park. Take in the stunning Thor’s Hammer, a narrow-necked hoodoo supporting a square slab of rock on top. Hike among the towering skyscrapers of Wall Street. Queen’s Garden – Although a short hike, this trail gets steep as it takes hikers up to Sunrise Point. Filled with hoodoos, the iconic Queen’s Castle is made of tall spires that rise up out of the garden itself. Rim Trail – The main part of the trail between Sunrise and Sunset Points is mostly level and paved. With Awe-Inspiring views of the canyon, this hike is perfect for families with young children. Fairyland Loop Trail – If you are into harder hikes, this one’s for you! At 8 miles round-trip, this hike contains meandering trails and multiple elevation changes. It is considered strenuous so only attempt it with proper food and water supply. The challenge is well worth the effort as the reward is a walk among stunning hoodoos that create a scene straight out of a fairytale. Tower Bridge – A spectacular structure along the Fairyland trail, this hike will start at Sunrise point. Once reached, the hiker can either turn back to Sunrise Point or continue on Fairyland Trail. There are a myriad of trails and attractions to see in Bryce Canyon National Park. Whether you are exploring this playground of spires for just one day or a few, there is definitely enough variety in hikes to make your trip unforgettable!